One of the greatest lessons I learned when Wil was born is that life gives you challenges. That will never change. Life just works that way. I knew this fact intellectually, but in daily life, I would get very frustrated when challenges came along. Though I “knew” life was not going to be challenge-free, I lived every day like it was supposed to be. Spilled coffee in the morning would be the sign of a bad day. Then guess what. It would be a bad day because that’s what I focused on. I lived that way for a long time. Big challenges and little challenges alike shocked me when they arrived. Then the big shocker was on February 5th, 2007. 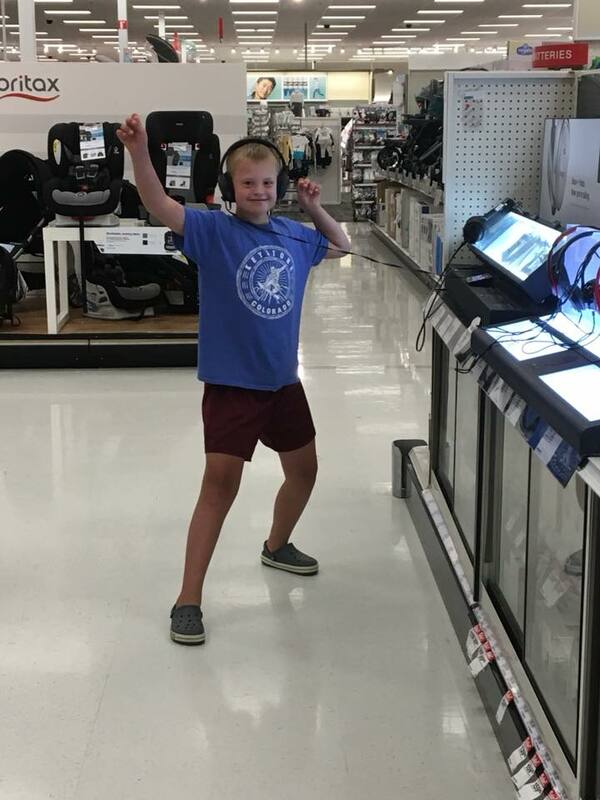 I found out my son has 47 chromosomes to our 46. Funny how one little thing can change so much. I knew very little about Down syndrome when Wil was born. It was a bumpy road at first. 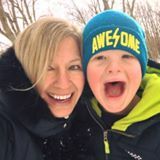 As I learned more about Down syndrome, came to acceptance, and then fully embraced this life, I kind of expected everyone else would, too. But that wasn’t the case. There I went again…”knowing” there would be challenges but shocked when there were some. I saw that this journey was going to be a bumpy road in a variety of ways. I loved Wil so much that I quickly accepted this fact. I didn’t have time to dwell. Wil was in need of many therapies for his cognitive and physical delays. I also had met some very positive and proactive parents that provided great friendship and support. They fully embraced this life, and that included the many challenges. I found I was soon laughing about the challenges with these friends where before I was crying. It’s not that we took the challenges lightly. It’s just that they were part of this journey and something we all shared. We’d share ideas and the joy of our kids. It was the same as raising our typical kids, our challenges just looked different. Wil was born with low muscle tone so it was quickly determined he would need physical therapy, occupational and speech therapy. I constantly asked Wil’s physical therapist when he would walk. I constantly asked Wil’s speech therapist when he would talk. I constantly asked Wil’s occupational therapist when he could pick up that Cheerio on his own. They all replied with similar answers. The best we could do was work with him, be consistent and persistent, and he would walk, talk and pick up that Cheerio when he was ready. Darn those bumps in the road. I wanted answers and all I got was take it one bump in the road at a time. Well, then that’s when something finally lit up in my brain and I learned to embrace those bumps I used to curse. Wil’s physical therapist would manipulate his little 3-month-old body into doing incredible things. It looked so easy when she did it. Then she would have me try so Wil and I could work on his exercises together in-between his therapy visits. Suddenly I felt like I was the most inept and uncoordinated person on the planet. She was kind and patient, and reminded me this was my first time and she does this all day long. Then, when I would get it right, it was the most satisfying feeling. The slow, arduous process is exactly what gave way to elation. I began embracing this challenge. I couldn’t wait for the next session so we could learn how to do new things together. It wasn’t about the process being easy. It was about the time spent, and the rewards, no matter how halting they came. When I fully accepted the challenges were going to be there, I was able to relax and revel in the process of the minute-by-minute successes. When Wil began to walk, I saw other kids his age running around and even able to kick a ball. With Wil, the ability to balance on one leg so he could kick a ball was a far off dream. I knew he would be able to do it, but I had no idea when. By this time, I learned that there are big goals, but when it comes down to it, it’s a day-by-day process. Some things come in their own time no matter how much you would like that to be different. So, to save my sanity, I quit putting deadlines on these things. Wil and I would work day-by-day, with our end goal in mind, but that day gets here when it gets here. Wil is now 10-years-old and has been balancing on one leg to kick a soccer ball for close to 5 years. No matter how many years pass, I don’t believe that I will ever stop cheering each time I see his hard-earned act of coordination. This fact adds a depth to my life that I feel with almost every one of his achievements. I believe sometimes my optimism is mistaken for a blind positivity. Yet, the opposite is true. Because I anticipate challenges, I’m more able to rejoice in life’s successes. Though I do not know what the challenges will be, the fact that I know they will always be there allows me, in a way, to let my guard down. And, in so doing, I am able to look around and absorb, accept and enjoy what is around me rather than be blinded by worry of what is to come. There have been, there is, and there will be, more bumps in the road with coffee a-flying! So, my friends, I do not wish you a smooth road. A road where the people you meet all have the same boring 46 chromosomes, the travel is flat and fast and you zip by the scenic routes without even realizing it. Oh, and you can save your money on spot cleaner because your coffee has no chance of thrilling at the escape from it’s prim, little mug. No, my friends, that is not my wish for you. My wish for you is not a smooth road but a bumpy one. A full on ride with scenic views and multiple detours that you never expected to travel but now that you are you can’t imagine being anywhere else. While some roads travelled may be shocking and unpleasant, I pray you drive out the other side with a new appreciation for the depth of beauty on the slow and scenic routes. Life seems to take on a different color and vibrancy for seeing the darker sides. I pray you share that light, rather than take on the bitter of the dark. I wish you encounter a variety of people in your travels. Some you surround yourself with and some you learn patience from and continue on in a different direction. We all have our own journeys to travel. And when your coffee goes a-flying over the next speed bump, I wish you cheer out loud because now you know that is a sure sign of an adventurous day ahead!